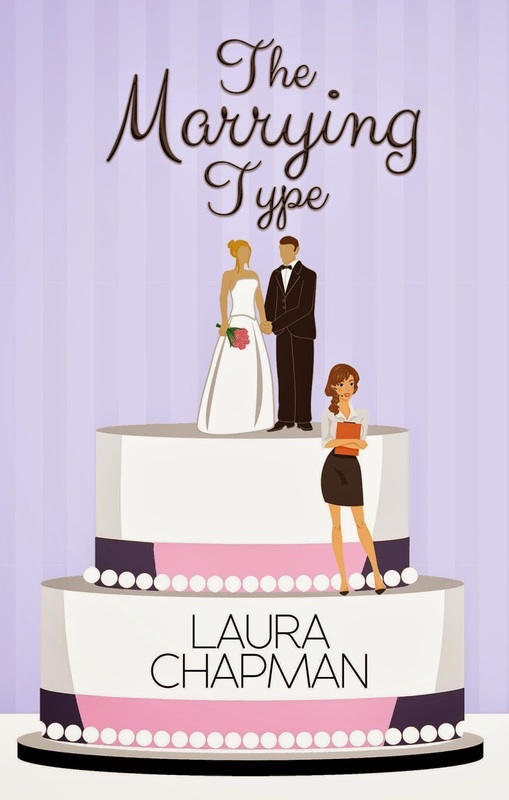 In the twenty-ninth episode of the See Brian Write podcast, my Camp NaNo cabin mate Laura Chapman joins me to talk about her NaNo experience, as well as her books The Marrying Type and Hard Hats and Doormats. 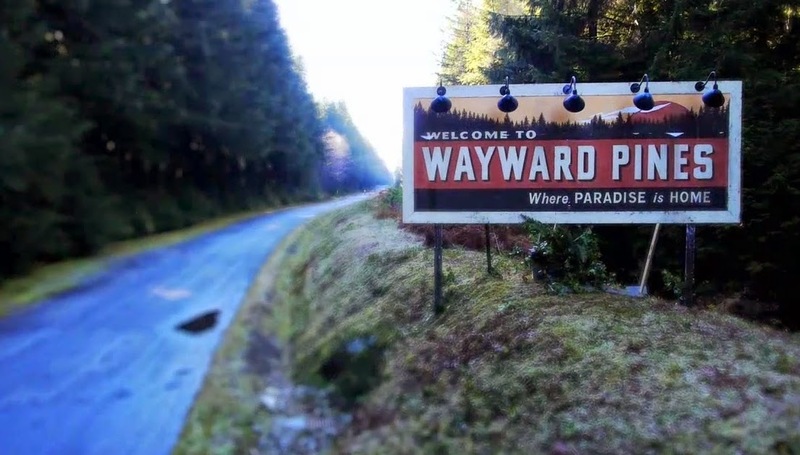 Since seeing the first trailer for Fox's new show Wayward Pines, it's been on my "most anticipated" list. Between the Twin Peaks vibe and the fact that I love both Matt Dillon and Carla Gugino, I had high hopes for this one. After watching the pilot this weekend, I'm definitely in for the rest of the 10-episode season. 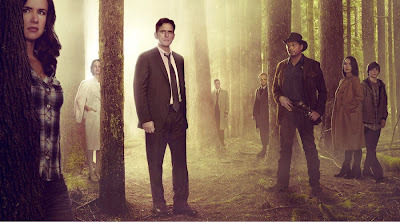 Wayward Pines is based on the trilogy of novels by Blake Crouch, and centers around a Secret Service agent named Ethan Burke, who travels to the small Idaho town of Wayward Pines in search of two missing agents. One car accident later, Burke finds himself in the town hospital with no wallet, no phone, and a whole lotta weirdness. As he tries to continue his investigation, he realizes that there is something very, very off about Wayward Pines. Like the fact that he can't leave, for example. 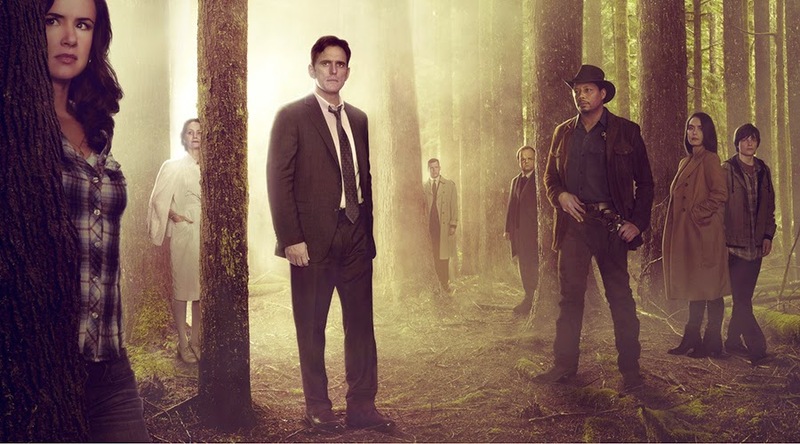 As cool as the town of Wayward Pines is, it's the cast that really stands out for this show. In addition to Dillon and Gugino, we get Terrence Howard (Empire) as the Sheriff, Juliette Lewis (Christmas Vacation, Natural Born Killers) as a potential ally for Burke, Siobhan Fallon Hogan (SNL, Seinfeld), Melissa Leo (Homicide: Life on the Street), Toby Jones (Captain America: Winter Soldier). The cast is just phenomenal. The pilot episode was directed by M. Night Shyamalan, and I think that's mostly a good thing here. I've always felt that Shyamalan's strength was creating atmosphere--that sense of mysterious weirdness where everything just feels slightly twisted. It's his payoffs that rarely live up to the hype. But fortunately, he's not writing or directing all of the episodes. He does a nice job of establishing the strangeness of Wayward Pines in the pilot, and it's a place I want to spend some more time in. We also get some answers by the end of the first episode, so all in all, it's a pretty effective opening chapter. For a show that is clearly inspired by Twin Peaks, Wayward Pines establishes it's own identity that's a little more grounded in reality while still creating a great sense of mystery. 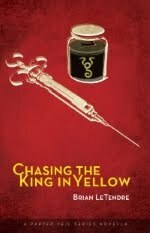 This is the second post in my series about a horror project that my pal Jolene Haley and I are collaborating on. Last time I wrote a bit about how the project came together, but this time around I wanted to start talking process a bit. More specifically, I wanted to gush about what an amazing collaboration tool Google Docs is. I pretty much do all of my first drafting in Google Docs now, having abandoned Word a while back. I love having the ability to jump into my projects anywhere, anytime and get stuff done. But it wasn't until the past year or so that I really started to take advantage of the collaboration tools that are built into Google Docs. My pals at Kitbash Brand Design use Google Docs for group projects, and all of the copywriting work I do for them is done through Google Docs, so I can get instant feedback on whatever I'm working on. More recently, I have been using Google Docs for the fiction project that Jolene Haley and I are working on, and it's a godsend. We are on opposite coasts, and we're often working on the project at different times. When we do happen to be working on it at the same time, having everything we need built right into Google Docs helps keep the focus on the project, so we can communicate while we're working. Take the live chat, for example. Anytime more than one person is in a document at the same time, a chat icon becomes available, allowing you to open a live chat with your collaborator. It makes communicating back and forth super easy, and the only real drawback I see is that fact that is doesn't save a record of the chat, so you need to make sure any important info (like plot decisions) is also written down somewhere else. Which is where the comments system comes in. Pretty cool, right? I know that most word processing programs have a comment system, but I really like how intuitive this one is. When a particular comment thread has run its course, you can just click "Resolve," and it will disappear from the main document. BUT, the comment thread is still saved, and you can revisit it any time by clicking the "Comments" icon at the top of your document. My absolute favorite thing about Google Docs is the fact that you can actually be working with your collaborators in the same document at the same time. You will see what they're typing in real time. And if you want to offer instant feedback, you can just bring up the chat window. It's pretty amazing. There have been times over the past few weeks where Jolene and I will be working on different scenes at the same time, on completely opposite sides of the country. Like two mad scientists tinkering with different parts of their creation, there's a kind of magic to it. 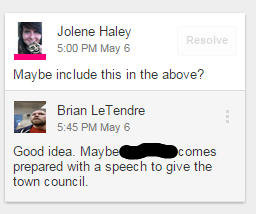 And it's one of the many reasons I love Google Docs--it's a fantastic collaboration tool. Man, I love when I dive into a new comic I know absolutely nothing about and it really blows me away. John Allison's Giant Days immediately became one of my favorite books of the year by the time I finished first issue. Giant Days follows the daily college life of Esther de Groot, Susan Ptolemy and Daisy Wooten, three young women whose personalities couldn't be more different, or their friendship more genuine. That daily life includes everything from chance encounters with ex-boyfriends to battling the flu to just making it to class. If all of that sounds rather mundane, I think that's part of the point. For me Giant Days was a nostalgic trip to my first year of college, where every single facet of my daily life felt like a big deal. I was living on campus, with people I'd just met. Whether I made it to class, stayed out partying all night, had enough to eat or had clean laundry to wear was pretty much all on me. It lends a weight to the every day that just isn't there until you move away from home. And that's what I love about Giant Days--it really captures that vibe. 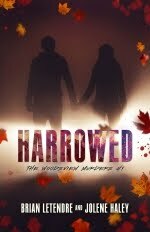 Allison's character's are fully realized by the end of the first page--you know who they are, and you already love them. The dialogue and dynamics between the three friends is just a joy to read. And Lissa Treiman's art is such a perfect match for the writing that I was surprised to learn Allison originally drew Giant Days himself when it began as a webcomic. She brings a warmth and energy to the characters that really reinforces the friendship they share. Those original Giant Days stories now serve as a kind of prequel to this new six-issue series from BOOM! Studios, although I jumped in and had no problems getting acclimated. 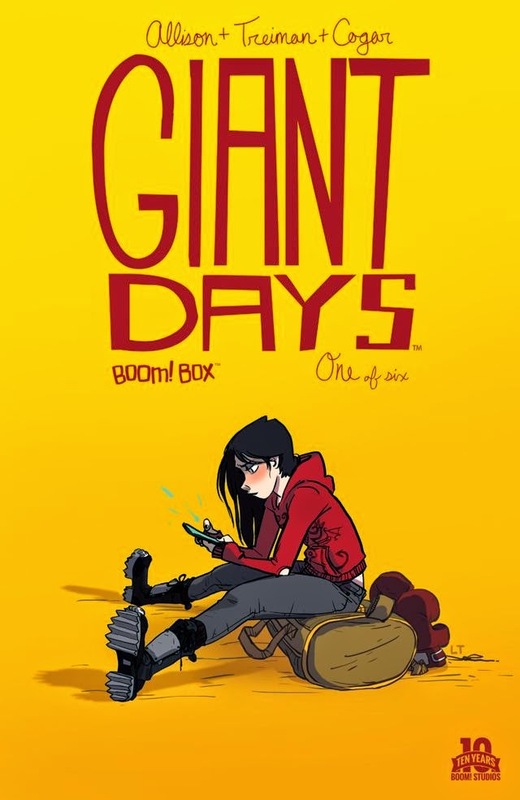 ComiXology has both the original three issues and this new series, so you can get the full Giant Days experience if you want the early stuff. Giant Days #1 is a wonderful introduction into the world of Esther, Daisy and Susan, but it's also a great reminder of just how big that first year of college was for many of us. I can't recommend this book enough. Issue #3 drops tomorrow, so if you see this series at your local shop, grab it. If you've been following me on Twitter lately, I've been dropping a lot of hints about a super-secret writing project that I'm working on with another author. 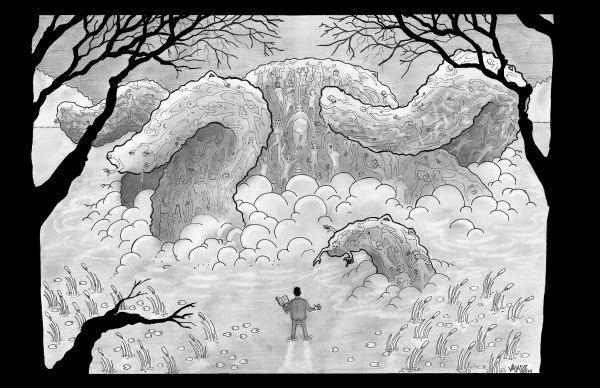 And while I haven't revealed exactly what the project is yet, I did post about it being a horror project, and that I am working with Jolene Haley. But I am having so much damn fun with this project already that it's impossible not to talk about it more. So, I'll be doing a series of posts about how the project came about, and getting into some behind the scenes stuff as we go along. 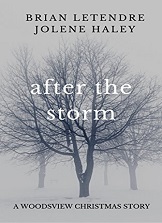 First, a bit about my writing partner--Jolene Haley is a fantastic YA and NA writer who runs the Pen & Muse blog that I rave about constantly. Not only is it a wonderful resource for writers, but Jolene and the Pen & Muse crew have brought writers together for very cool and creative events over the last few years. 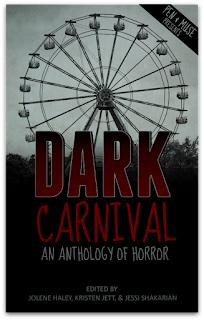 One of those events was a series of twisted carnival-themed stories and art called Dark Carnival, which was eventually collected into an eBook that sat atop the horror anthology list on Amazon for weeks (you can grab a copy on Amazon right here). 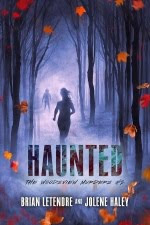 She also founded the Midnight Society, a YA and NA horror blog, and Hocus Pocus & Co., a publisher of MG, YA and NA horror. Jolene recently joined me on the SBW podcast to help folks prep for Camp NaNoWriMo (you can listen to that episode here). 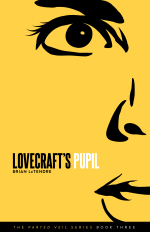 We had a lot of fun, and it turns out we had very similar interests when it came to horror. We started talking a bit about maybe working on something together in the future, and ideas were kicked around. It wasn't long before we found something that felt like a great concept to tackle together, and a project was born. Actually, it was more like the project roared to life, as it came together so quickly it threatened to derail my completion of my Camp NaNo project. Now that Camp NaNo is over, this project has become my primary focus. We're a couple weeks in, and we're already over 22,000 words on the first draft. Ideas are flying, casualties are mounting, and I am having a blast writing with Jolene. I'll be posting more about the process in the coming weeks, and you'll start to see more hints about he actual project as we get closer to summer. But I will say this--if you're a fan of '80s horror movies, you are in for a real treat. 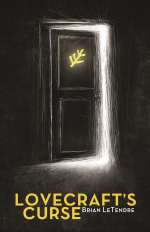 Oh, and you should be following Jolene on twitter, and checking out her main website as well. She's aces. 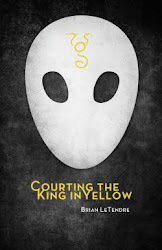 When Swedish rockers Europe dropped their new album War of Kings in March, it blew me away (you can read my review here). Ten studio albums in, and the band continues to produce fantastic music. Their sound has evolved, but in the best possible ways. They bring a heavy, melodic, mufti-layered sound that befits their thirty-plus years in the industry. Sadly, until this past weekend, I had never seen Europe play live. I've seen almost every band they've toured with in the '80s and '90s, but never managed to see them. 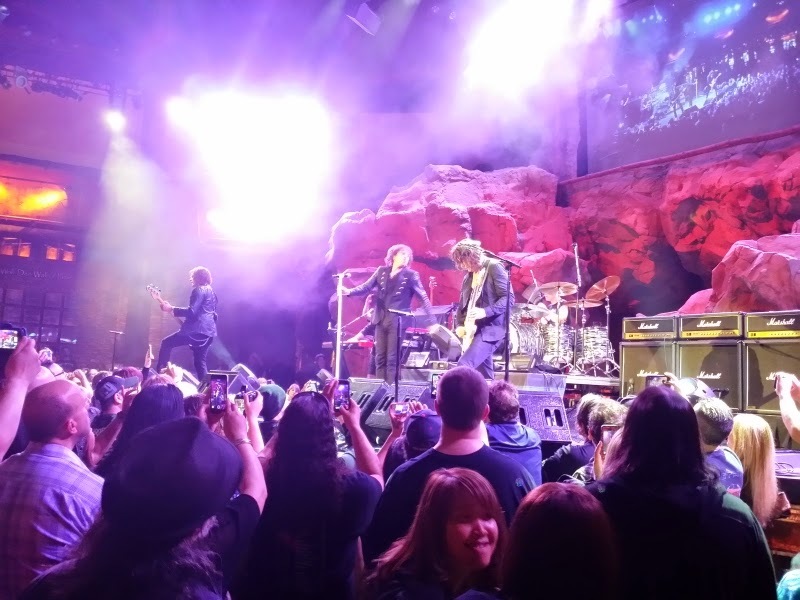 So when I found out they were playing a free show at the Mohegan Sun casino in Connecticut, I jumped at the chance to see them. Man, am I glad I did. 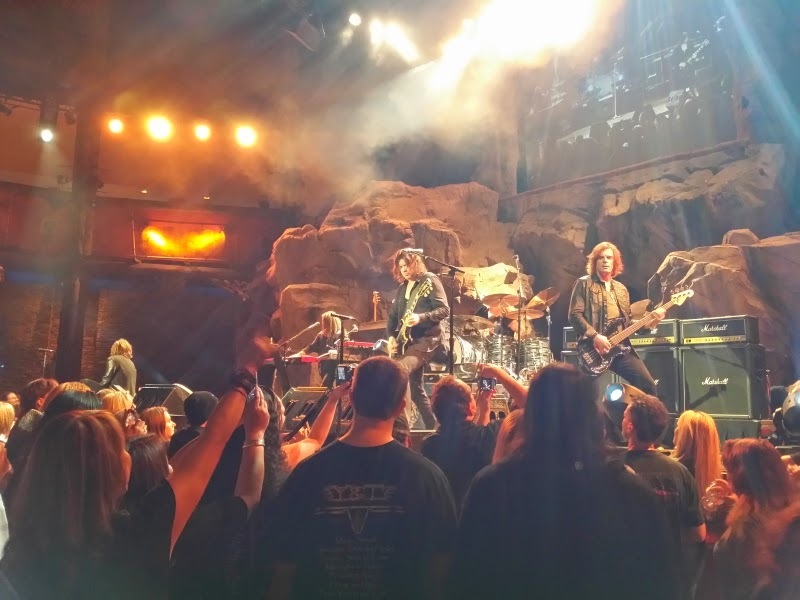 The iconic lineup of Joey Tempest (vocals), John Norum (guitar), John Leven (bass), Mic Michaeli (keyboards) and Ian Haugland (drums) offered up a great performance to end the North American leg of their world tour. They opened big with the title track from War of Kings, a song that I absolutely love. It was a great wake up call for those in the audience who might only have been familiar with their '80s hits. 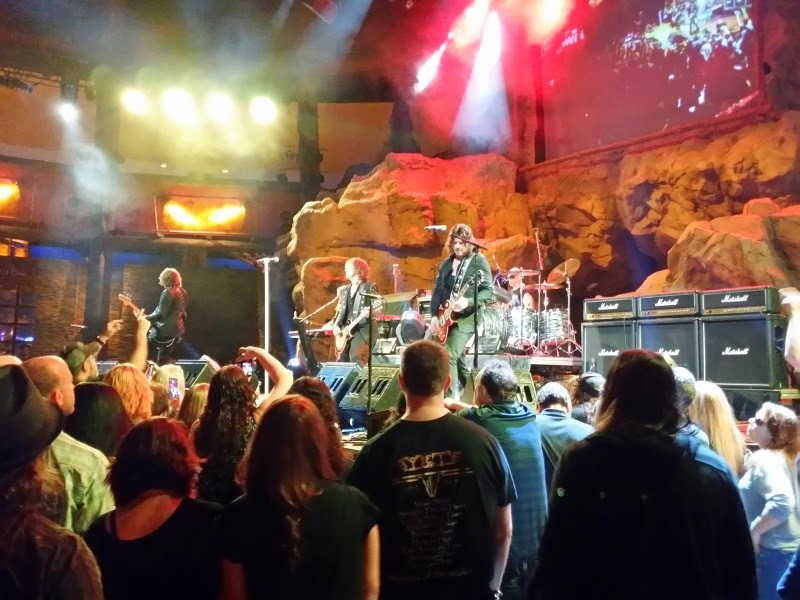 They followed that up with another song off the new album, and then gave old school fans a classic, "Rock The Night." Form there it was a very balanced set, mixing in old, new and everything in between. 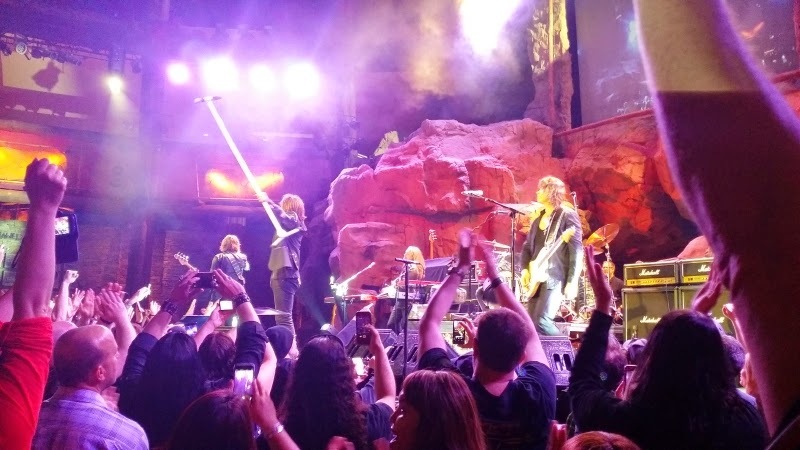 Singer Joey Tempest was constantly bantering with the crowd between songs, keeping the energy up and making sure everyone was having fun. And Joey still sounds great, but what stood out to me the most was how fantastic Mic Michaeli and Ian Haugland's backing vocals still are. Both sounded amazing, and they really drove home the choruses of Europe's biggest hits. 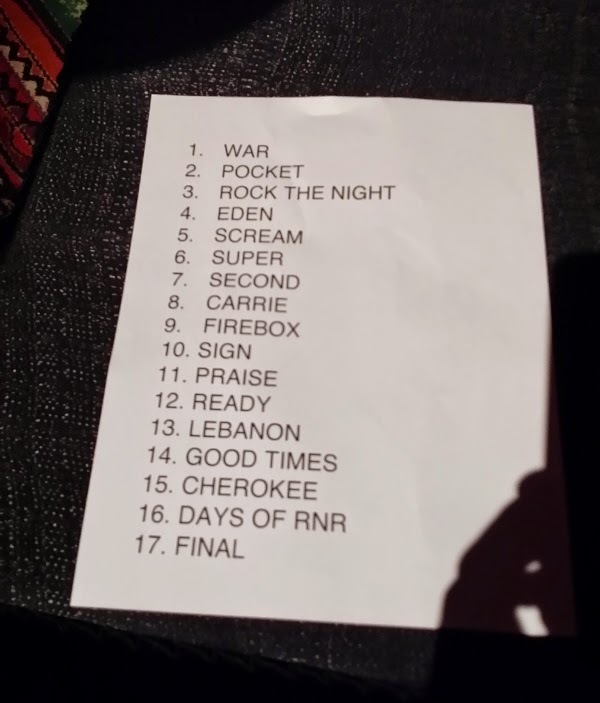 My favorite part of the night was when Joey opened up the floor to requests, and someone yelled out "Cherokee," which is one of my all time favorites. His response: "Cherokee? Oh, man. We haven't played that song since...last week." And then they absolutely killed it. As you might imagine, Europe closed out the show with their most recognizable song, "The Final Countdown," and the crowd ate it up. It was a fantastic end to a fantastic performance. I may have had to wait a couple of decades to see Europe live, but they still brought it like it was 1988. What a show. Come See Me in Enfield, CT on Free Comic Book Day! Most Excellent Comics and Collectibles on 481 Enfield Street in Enfield will be hosting an all-day event starting at 10AM. There will be comics, cosplay, gaming and more, and I'll be there representing the Secret Identity podcast with my show partner Matt Herring. So, if you're in the Western Mass or Northern Connecticut areas, stop by tomorrow, hang out and grab some free comics! One last thing: Comic store owners actually have to purchase the free comics they give away on FCBD, so please buy something from any store you visit. 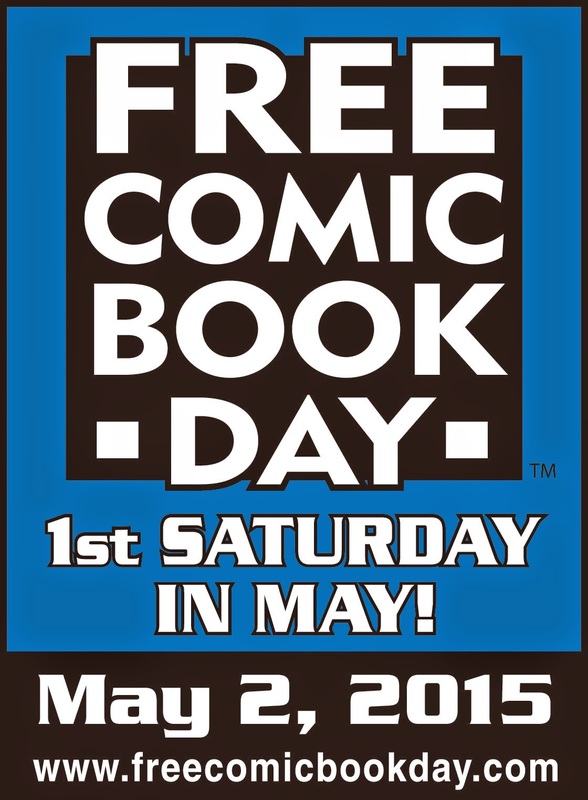 Support the stores that support Free Comic Book Day! Another last thing: If you can't make it to a store on Free Comic Book Day, you can always read my comic Mo Stache online for free every day! Just go to www.mostachecomic.com, and bask in 138 pages of robots, aliens and mustaches. Then tell your friends.